With their voracious feeding habits and spectacular aerial antics, snook may be saltwater fly fishing's most exciting gamefish. These elegant creatures can be elusive, but once they're hooked, they strike hard, run far, and jump high. 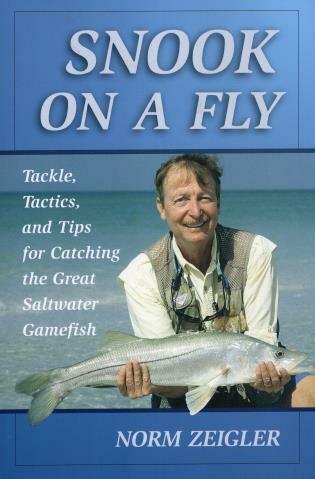 Zeigler's Snook on a Fly is sure to inspire, entertain, and enlighten fly fishers who pursue these magnificent gamefish. Norm Zeigler is a New York Times outdoors columnist, a contributing editor at Florida Sportsman, and a contributing writer at Art of Angling Journal. Norm and his family divide their time between Sanibel Island, Florida, and Dillon, Montana.